LG offers free tablet with selected OLED and 4K UHD TVs | What Hi-Fi? 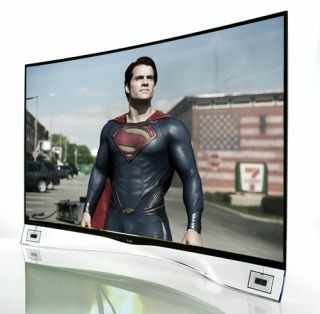 With the 2014 FIFA World Cup looming, LG wants to give UK residents even more incentive to splash out on a new TV ahead of the tournament. LG is offering a free G Pad 8.3 tablet with any selected OLED or 4K Ultra HD TV. Customers can make an online claim for the tablet within 30 days of purchasing a TV. For full details, plus the complete terms and conditions, head to the LG website. FIFA and Sony are said to be working on a deal to broadcast three World Cup matches in 4K, though details of how and where remain thin on the ground. Will 4K be a winner at the World Cup? We will have to see.